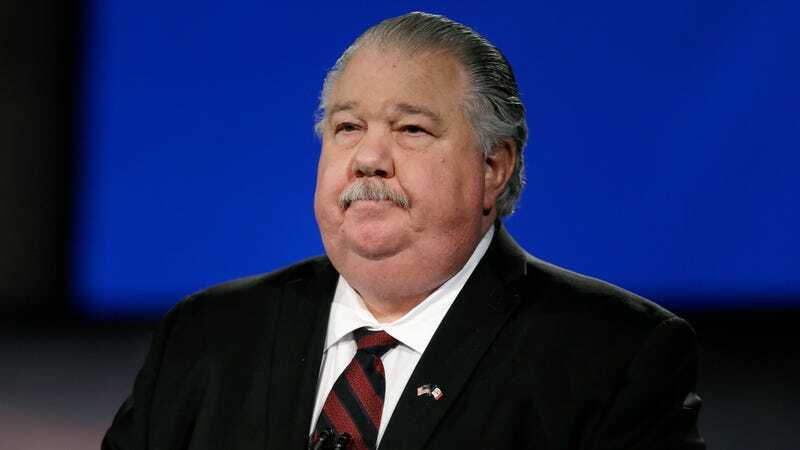 Sam Clovis, the climate-change-denying Iowa business professor with no formal scientific qualifications President Donald Trump has nominated to serve as chief scientist at the Dept. of Agriculture, should maybe have been a little more judicious about his blogging habits. CNN’s KFile dug up a number of blog posts written as recently as 2011 to 2012 for the since-deleted website of his old radio show, “Impact with Clovis.” There’s no charitable way to put this: They are the ravings of a person with no connection to reality, which is entirely predictable for someone Trump thinks is a scientist, but probably not a very good track record for someone supposed to be an actual scientist. In another post, Clovis called black civil rights activist W.E.B. Du Bois the “first race-trader” for endorsing Democrat Woodrow Wilson, who was a pro-segregation racist (conveniently ignoring that Wilson backed other progressive policies which highly benefited black people, but nonetheless lost Du Bois’ support due to his stance on segregation). Clovis took a number of other dubiously scientific—some might say dumbassed—viewpoints on his blog. They also included a diagnosis of Obama as a “Maoist, anti-colonialist who is also a pathological narcissist,” posts suggesting Obama was paying off climate scientists and preparing to put conservatives on a kill list, and a lengthy explanation of how conservative “culture” explains why Iowa was better prepared to deal with natural disasters than New Orleans residents facing Hurricane Katrina. The USDA chief scientist role has a number of important responsibilities. They include planning how our agricultural system will adapt to a changing climate, assessing what pesticides and herbicides can be safely sprayed on crops and in what quantities, advising the nation on what goes into a healthy diet and keeping your food safe from pathogens. So yeah, remember that this racist, mustachioed doofus is who Trump wants to put in charge of all that. This an entirely par for the course for an administration staffing the Environmental Protection Agency with fossil fuel lobbyists and which regularly gets pranked by trolls, but that knowledge won’t make the trichinosis pass any easier.